Imagine you are one of those 55 black students on the way to integrate LSUNO. Pay your fare and find a seat. You can sit where you like, because a judge had ordered the buses and streetcars desegregated the previous year. You may feel a little nervous. Not only is this your first day as a college student, but you are also a black student on your way to a campus that was originally intended for white students only. It had been four years since the Supreme Court in the landmark case Brown v. Board of Education had struck down the doctrine of separate but equal and ordered the integration of American schools. However, many Southern education systems were not in a big hurry to follow through on that order. In a famous example, it took three years, as well as the intervention of President Eisenhower and the U.S. Army, to enroll nine black students in the all-white Little Rock (Ark) Central High School in 1957. 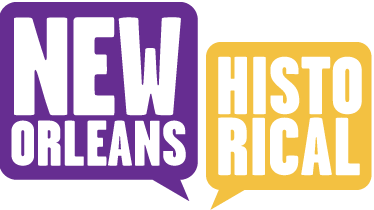 After watching protests to integration across the South, and recognizing the possibilities for the new commuter college branch of LSU opening in New Orleans, local civil rights leaders set to work on behalf of black New Orleans college students. 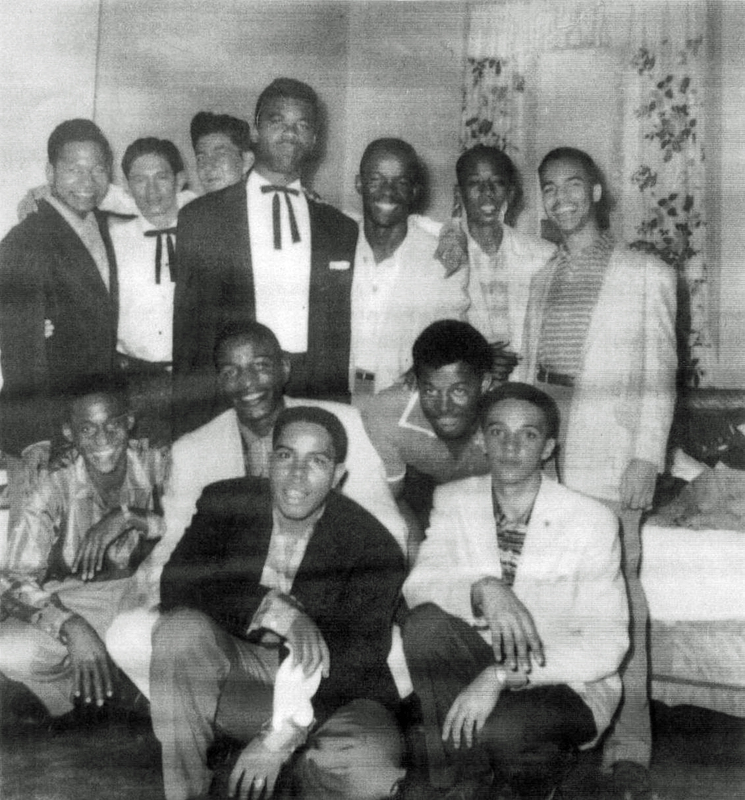 Their efforts resulted in Narcisse and approximately 54 other black freshmen integrating LSUNO on its opening day in September 1958. The names of these 55 students can be read in the images below. Change is the Only Constant : A court order led to both black and white students being allowed to register for classes during LSUNO's first semester. 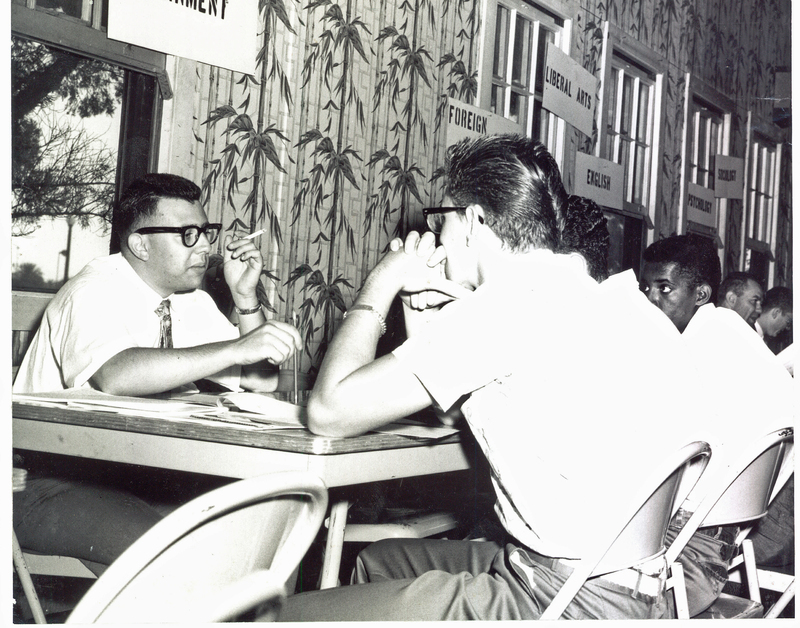 Here, an unidentified black student can be seen in the third chair on the right. James Narcisse, one of those first African-American students, said that registration had been “quiet” and without incident. He had hoped that attending classes would be the same way. He was wrong. ~ Source: UNO Archives (MSS 159), Courtesy of Louisiana and Special Collections, Earl K. Long Library, University of New Orleans. 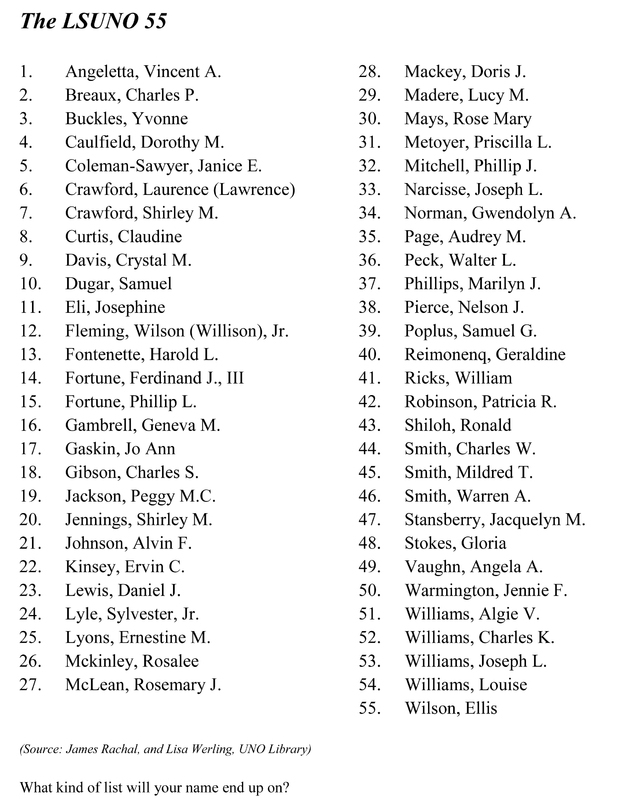 The LSUNO 55: This is a list of the 55 verified African-American students who enrolled at LSUNO in the fall of 1958. School authorities believe that there may have been others, but possible supporting documentation has been lost. ~ Source: Research by James Rachal, independent scholar, and Lisa Werling, UNO Library. Becky Retz, “The Elysian Fields Bus,” New Orleans Historical, accessed April 24, 2019, https://neworleanshistorical.org/items/show/549.